Recently, I have found myself researching the American Civil War for my “riverpunk” project, Coal Belly. I have always been drawn to that era, the division of the United States was dramatic enough, but couple that with the rapid advances in technology and it makes for a strange world. 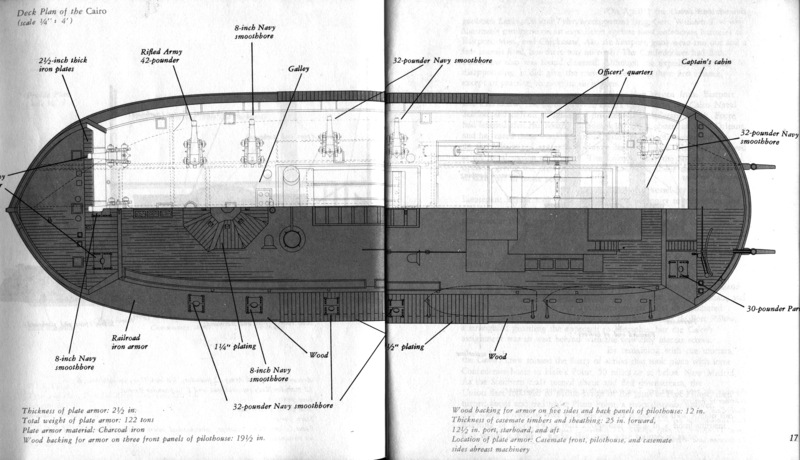 Since Coal Belly is primarily a Weird Western that centers around steamboats and rivers, I was doing research into the riverboats of the Union Navy during the Civil War. 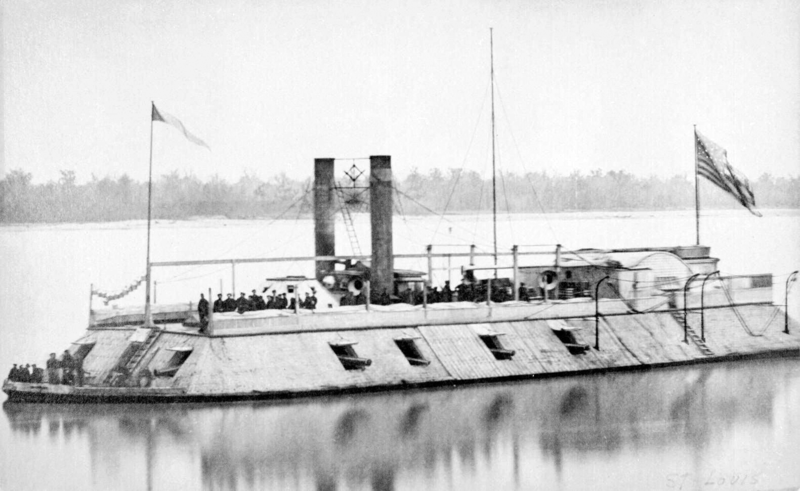 That, in turn, led me to pictures of ironclad gunboats, which brought me to the USS Baron DeKalb. Is that a Masonic symbol hanging between the stacks of the USS Baron DeKalb? Look familiar? That certainly appears to be the Freemason Square and Compasses hanging above the boat. There’s even a ghostly “G” fixed in the middle. Now, there have been are many books (fiction and nonfiction works) and loads of silly conspiracy theories written about Freemasonry’s ties to the founding of America. It is common knowledge that many of our founding fathers were involved in fraternal organizations. So while seeing a Freemason device hanging on the spreader bars of a US naval vessel did not come as a surprise to me; I was intrigued. The mystery did not stop there. I spent more time poking around and found a few other interesting tidbits. One site noted the odd similarities between this photos of the USS Baron DeKalb and the USS Carondelet. It’s pretty uncanny. In fact, you could argue they are the same picture, just edited ever so slightly. The forward flag has changed between the images, and the Carondelet seems to have an inverted star in place of the Masonic symbol, but a lot of the photo is identical, even the trees in the background. I also found an article reposted from the Scottish Rite Journal that suggested that one of the Dekalb’s captains was most likely a Mason, which could explain the symbol. 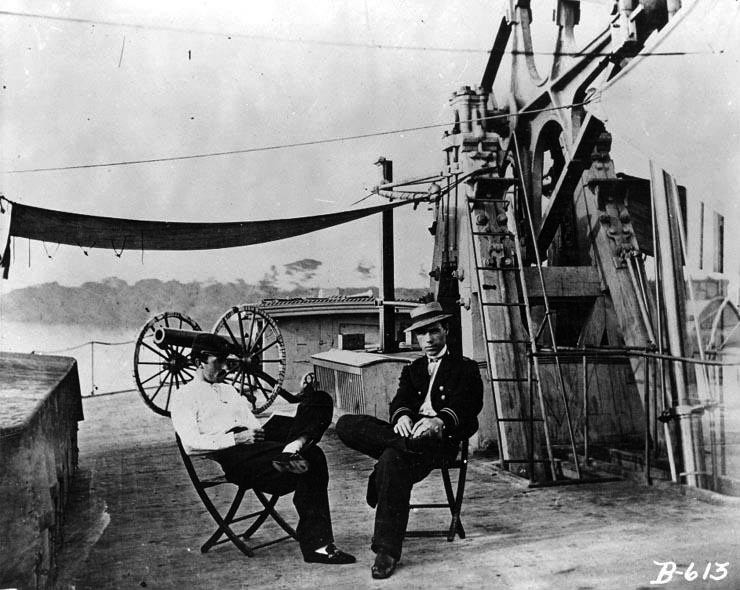 Additionally, General Baron DeKalb—the riverboat’s namesake—was also a Freemason. So it’s possible the device was hung out of respect for him. What does this all mean? I don’t know! Nevertheless, it is an entertaining little mystery and one I was happy to stumble upon. Many of my loyal readers know that I am a collector of American folk art that stems from American fraternal organizations and secret societies (particularly the Independent Order of Odd Fellows,) so it is always fun when I find bits and bobs like this during research. It’s a good example of how rich and complex our history can be, and how little details can lead to expansive stories in their own right. Plus, it was just too much fun to keep to myself.